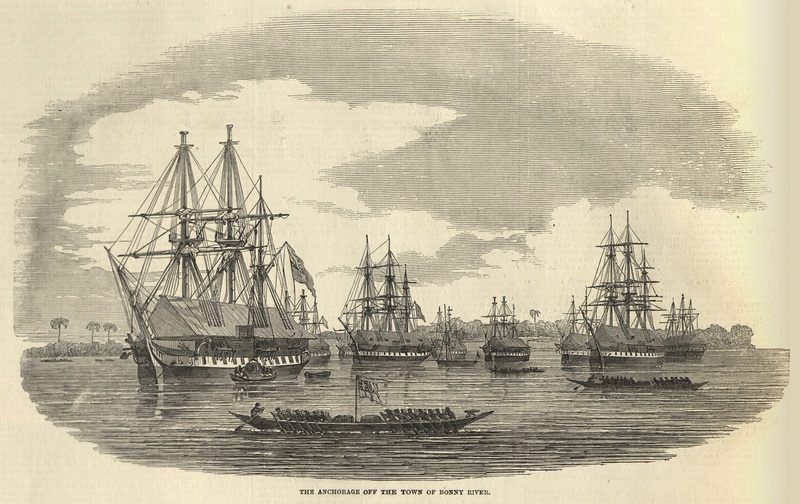 Bonny River, near the delta of the Niger River in present-day Nigeria, was a major point of slave embarkation. No wonder British man of war would frequently visit the river. 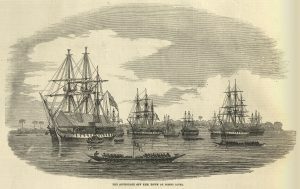 The following image shows the anchorage off the town of Bonny River, with British and othe ships laying on the harbor.